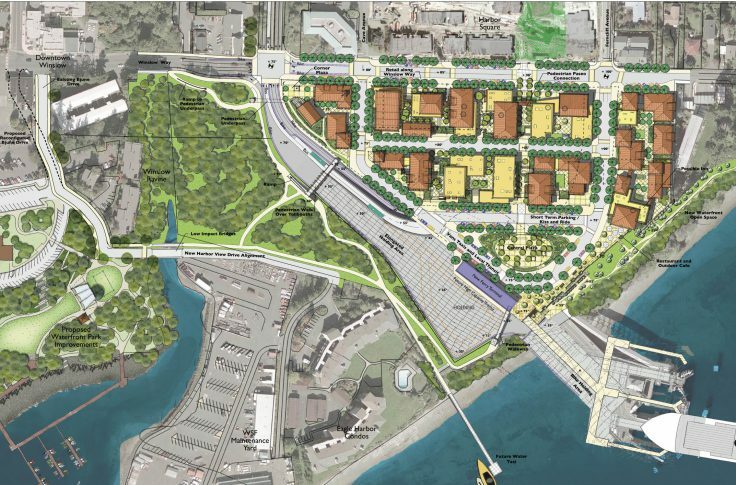 The Ferry/Gateway District Plan for the City of Bainbridge Island, Washington focuses on a 10 acre site adjacent to a high capacity car ferry terminal, 40 minutes from downtown Seattle. VMWP is coordinating with the community, property owners and Washington State Ferries to create a plan that will balance pedestrian, bicycle, auto and bus circulation in and around the ferry terminal. 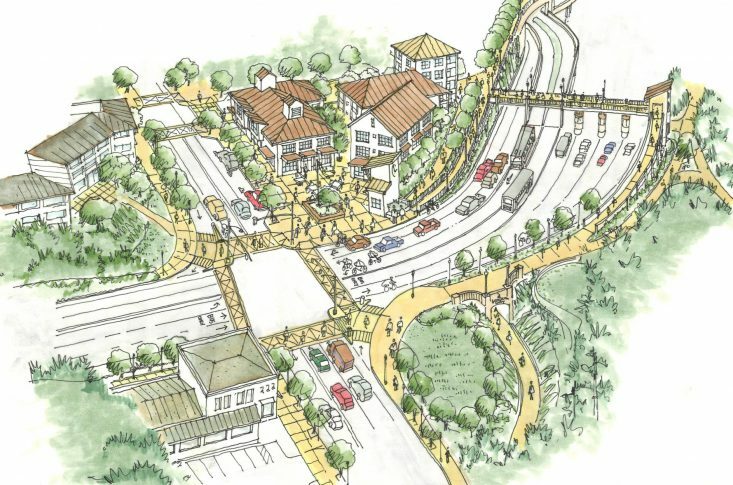 The plan also looks at the opportunity for the development of a mixed-use neighborhood adjacent to the terminal that will help bring vitality and an added sense of place to central Bainbridge Island while seeking to create a series of new open spaces, housing, retail and office opportunities. To encourage integration and cooperation between the city, the community, property owners, Kitsap transit and Washington State Ferries. Improving circulation in the surrounding neighborhoods, improving access to the waterfront and examining options for attractive infill development are also main components of the Ferry / Gateway District Plan.